"His perfect indifference, and your pointed dislike, make it so delightfully absurd!" Pride and Prejudice has delighted generations of readers with its unforgettable cast of characters, carefully choreographed plot, and a hugely entertaining view of the world and its absurdities. With the arrival of eligible young men in their neighbourhood, the lives of Mr and Mrs Bennet and their five daughters are turned inside out and upside down. Pride encounters prejudice, upward-mobility confronts social disdain, and quick-wittedness challenges sagacity, as misconceptions and hasty judgements lead to heartache and scandal, but eventually to true understanding, self-knowledge, and love. In this supremely satisfying story, Jane Austen balances comedy with seriousness, and witty observation with profound insight. If Elizabeth Bennet returns again and again to her letter from Mr Darcy, readers of the novel are drawn even more irresistibly by its captivating wisdom. ©2003 BBC Audiobooks Ltd (P)2014 Audible, Inc. I listened briefly to all the "Pide and Prejudice" audios on our list, before buying this production narrated by Linsey Duncan. Ms Ducan's reading is superb. Each character is given a unique voice and portrayed with such subtlety, that the novel easily flows in currents of reality. Miss Austen's language is preserved and alive. I am a serious reader of Ms Austen and I am totally satisfied with this audio. 57 sur 57 personne(s) ont trouvé cet avis utile. Lindsey Duncan, the English actress, does a fine job in this reading. Her Elizabeth is not pert or flirty, but intelligent and witty. You can see why Darcy is so taken with her. Duncan is good with all the women, differentiating their language and intonation. This is the one to listen to! 48 sur 48 personne(s) ont trouvé cet avis utile. I just finished listening to "Pride and Prejudice." I've read the book before (as well as seen the various TV and movie productions), so I'm already a fan. That being said, this book was a delight to listen to. The narrator does the characters very well, and I appreciate the fact that she is a true British actor. Be prepared to be totally absorbed -- near the end, I couldn't put it down. 29 sur 29 personne(s) ont trouvé cet avis utile. when a great book meets a wonderful reader, this is what you get. Loved the book (of course), and LOVED the narrator. 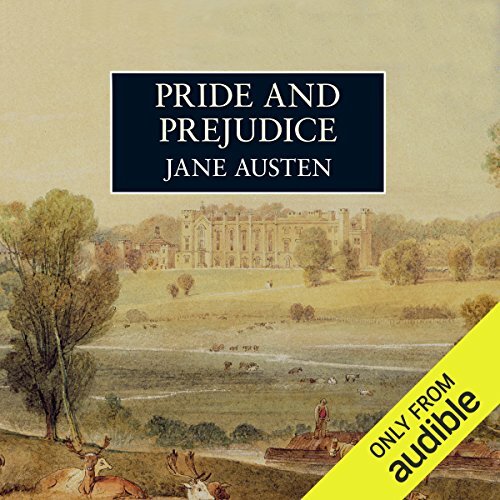 Ms. Duncan does a fabulous job of giving each character a distinct vocal quality, which is very important in this book particularly, as Jane Austen tends to leave off speaker tags on her dialogue. HIGHLY recommended! Always a pleasure to immerse yourself in Jane Austin, and even through the years we still connect. Jane Austin's gift for dialogue is remarkable. The narration was pleasant too. I found the text of the book very hard to maintain interest in but this audiobook production was excellently performed and executed. The actress who reads was delightful and enthusiastic. High quality! A wonderful story told in a most elegant manner. Also expertly read with a voice simply perfect for the story. I would give it about 7 stars if possible. This was actually the first I ever "read" this book, although I had heard a lot about it. I have to say, this is one of the best credits I have spent--the book was great, and is a classic, so I won't spend much time talking about it. The narrator was very pleasant to listen to, and did a good job of putting the correct emotions into her voice. Indignation, coyness, sarcasm, and humor were all rendered fully. The only issue I had was that once or twice I lost track of who it was speaking. That said, it is unfortunate that Lindsay Duncan has not narrated more books, as I would certainly listen to her again. I've tried to read the book, but I never finished it. The narration was great. I surely recommend this audiobook. Ich liebe die Geschichte und habe sie schon so oft gehört, dass ich sie bald auswendig kann. Lindsay Duncan hat eine sehr angenehme Stimme und ein gutes Sprechtempo, was das Zuhören zu einem Genuss macht.